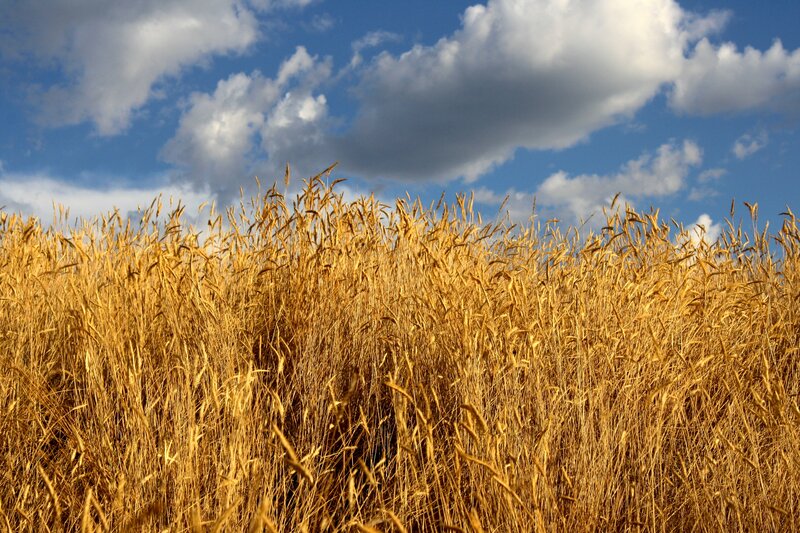 This free high resolution photo features tall grass gone to seed turned golden in the fall. This autumn grass looks almost like wheat with the seed tassels in the sun. There is a blue sky with cotton clouds in the background. This free picture would make a great web background or desktop wallpaper, and is free for any use.